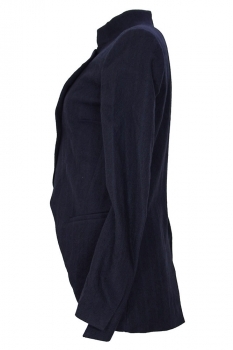 NostraSantissima navy blue wool jacket. Round collar. Cut-away double breasted style with 2 columns of 2 buttons. 2 pockets. Cuff with point and stitched vent. Single vent at rear. 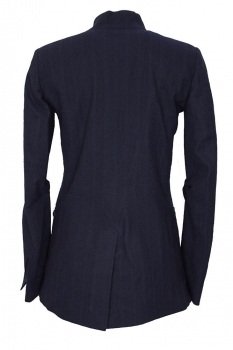 Diagonal seam at rear. Matches the trousers in the same colour. Fully lined. Beautiful garment.